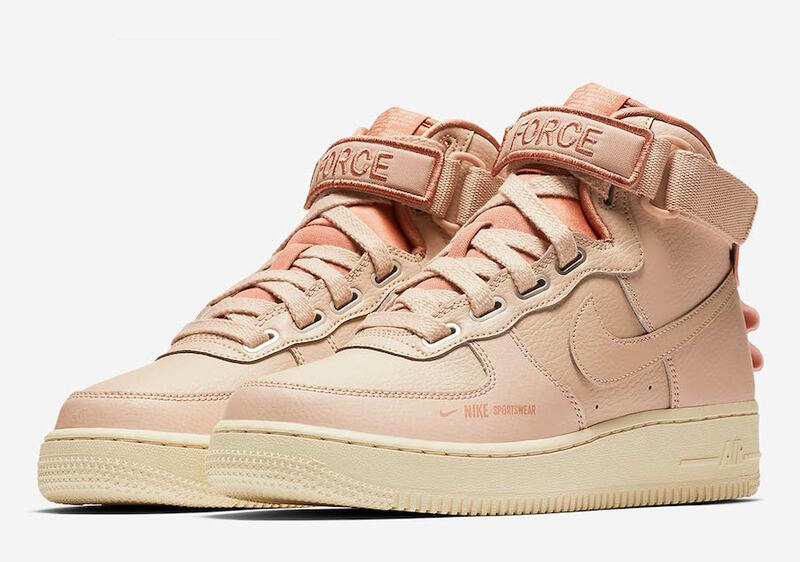 Nike is added a “Utility” style to their beloved Air Force 1 High silhouette that is set to debut in November. One pair comes dressed in White/Light Cream-Black-White and the other in a Particle Beige/Particle Beige-Terra Blush-LT Cream color scheme. Both pairs come with large wavy heel tabs, modified metal eyelets, bold “FORCE” branding on the front strap, while the tongues are done inside-out. Other new details includes small Nike Sportswear branding on the lateral forefoot, along with AF1 on the heels. Look for Nike to debut the Air Force 1 High Utility in November at select Nike Sportswear retailers and Nike.com.